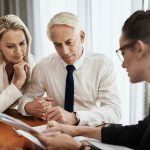 Well-informed funeral staff can offer their clients value-added support during trying times while building relationships with community providers who routinely help families address funeral arrangements such as hospice social workers. Learn about palliative care, hospice care and bereavement support. Read this article about the importance of philanthropy, involving the next generation in giving back, and making philanthropy part of your natural discovery process. 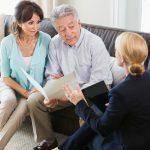 Read this article about importance of clients creating a comprehensive plan including estate and healthcare planning. Want to schedule a hospice presentation at your facility?